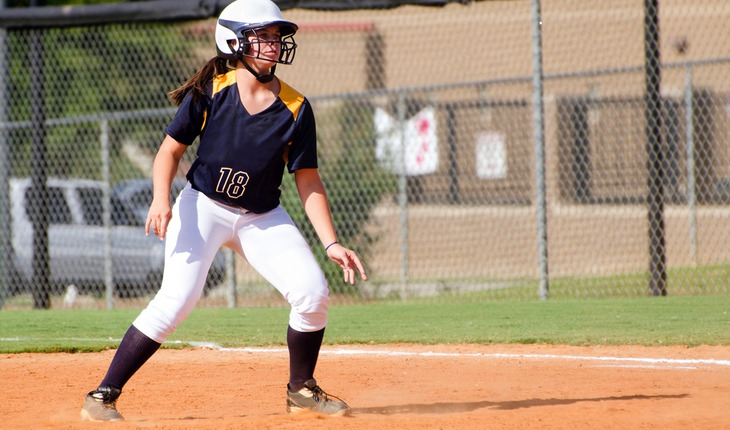 With spring sports like baseball, softball, and soccer coming up, parents and grandparents need to be aware of why concussions are such serious injuries and how they can be treated. Concussions have traditionally been associated with high-impact sports like football, and even in this setting, knocks on the head that don’t “seem” serious have often been brushed off. However, it’s becoming more common to see young athletes of all types being pulled off the field or court for possible concussions. “The more scientists learn about concussions or traumatic brain injury (TBI), the more adverse long-term effects they discover—including permanent neurologic disability,” says Dr. Adam Breiner, MD, who practices family medicine at The NeuroEdge Brain Performance Center—a division of Breiner Whole-Body Health Center in Fairfield, Connecticut—and specializes in the treatment of neurological conditions. Given that 1 in 5 high school athletes will experience a concussion during the playing season and that the number of reported concussions is rising, parents shouldn’t worry about “overreacting.” From a caregiver’s perspective, Breiner says, it’s infinitely preferable to rule out TBI up-front than it is to retroactively treat an injury that has gone undiagnosed for weeks, months, or even years. Concussions and TBI do real damage to the brain. Concussions and TBI occur when the brain suddenly shifts within the skull—usually as the result of a sudden blow, jolt, or change of direction. A few of the athletic incidents that can result in TBI include football tackles, being hit with a baseball or softball, heading a soccer ball, or tripping and falling. That damage can have long-term effects. Because children’s brains are still growing, they are especially vulnerable to concussions. The damage caused by TBI can impair normal development. Potential long-term effects of childhood concussions include abnormal brain activity that lasts for years, memory problems, attention deficits, difficulty handling anger, language impairment, personality changes, difficulty making decisions, “foggy” thinking, and more. “The bottom line is, a childhood concussion can adversely affect an individual’s personal and professional success throughout his lifetime,” Breiner says. Multiple concussions are especially dangerous. If a child is concussed a second time while a previous brain injury is still healing, she may experience more serious symptoms, a longer recovery time, and even permanent cognitive and neurological damage. Since TBI is not a visible injury, multiple concussions are a major concern—especially for young athletes. The signs of concussion can range from mild to severe. The immediate effects of a concussion can be subtle or very noticeable. Some of the most common post-concussive symptoms include headache, visual blurring, light sensitivity, difficulty concentrating, dizziness and balance problems, nausea, memory dysfunction, and fatigue. When in doubt—whether you notice symptoms or not—it’s always smart to get your child checked out after a blow to the head. The standard wait-and-rest advice may not be good enough. If your child suffers from a concussion (or one is suspected), you’ll most likely be advised to make sure that she rests physically and mentally for a few days. But don’t stop there. According to Breiner, the biggest mistake most parents and coaches make is assuming that everything is okay when a youngster appears to have returned to normal after a few days of downtime. “Remember, damage may be present that you can’t see—and the only way to ascertain whether healing is complete is via functional brain imaging and other tests,” he says. Hyperbaric Oxygen Therapy (HBOT). After patients are placed inside a hyperbaric oxygen chamber with an oxygen concentration of 100 percent, the chamber is slowly raised between 1.5 to 2 times the normal atmospheric pressure. This allows more oxygen to enter the bloodstream, and where oxygen concentration is increased, healing is enhanced. Research has shown that HBOT dramatically improves both blood flow and function in the brain after injury. Neurofeedback. As patients’ brain waves are read in real time, special software gives rewards—for example, audible feedback or making a movie brighter—when optimal brain wave patterns occur. This prompts the brain to subconsciously re-pattern itself. Diet and Nutrient Interventions. The acute (and eventually chronic) inflammation that occurs as a result of concussive injuries is at the heart of why they continue to cause problems. Incorporating certain nutrients and strong antioxidants into a patient’s diet can reduce inflammation and oxidative stress. Further, eliminating foods that can lead to low-grade inflammation (such as sugars and common food allergens like gluten and dairy) may also be helpful. Diet and nutrient interventions are customized to the individual. For information from the federal Centers for Disease Control and Prevention on sports-related traumatic brain injury, click here. Adam Breiner, ND, is the medical director of The NeuroEdge Brain Performance Center, a division of The Breiner Whole-Body Health Center in Fairfield, CT. The Center is one of the only free-standing hyperbaric facilities in the region, focusing on helping patients with neurological conditions. A graduate of the Canadian College of Naturopathic Medicine, Dr. Breiner is a member of the Undersea & Hyperbaric Medical Society, the International Society for Neurofeedback & Research, the Association of American Physicians and Surgeons, and the Connecticut Naturopathic Physicians Association.